On March 25, 1821 the Bishop of Patra, Germanos, began the uprising that started the War for Independence. 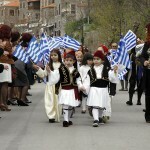 Today it is celebrated with parades by school children in many villages on the island. Independence Day also coincides with the religious Feast of the Annunciation, so it is also a religious festival. By Calendar Admin on 24th December 2012. 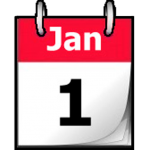 This entry was posted by Calendar Admin. Bookmark the permalink. Send me details of your event and we will publish it here.